Preserve valuable nutrients for your animals with the best crop intake. The cleverly designed cam track steers the swing arms and deposits the crop smoothly into the loading unit. The twin tines stay in contact with the crop until the best position is reached. 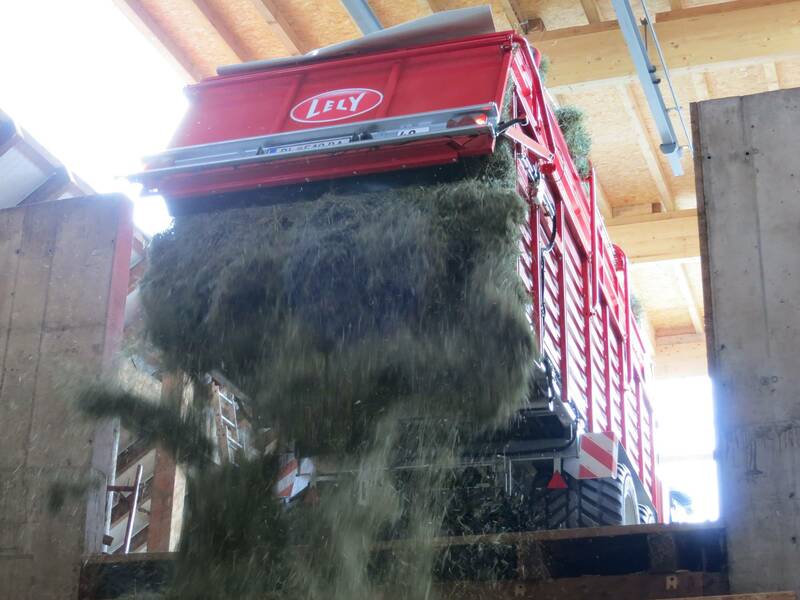 Only then is the crop placed in the loading unit. This maintains crop structure and the necessary nutrients. 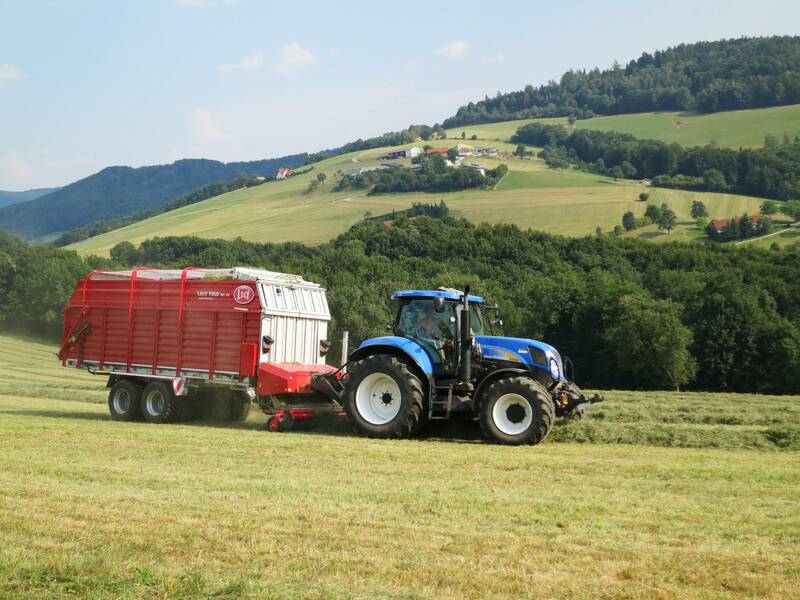 The optimal cutting unit of the Tigo loader wagon increases feed efficiency even further. With up to 33 knives and variable chopping lengths, the chopping unit, together with the twin tines, provides highly precise chopping. The perfectly chopped crop is easily prepared for the next stage in harvesting. Feed efficiency is guaranteed, while maintaining crop structure. With its wide range of models and features, the Tigo MS copes with any demands. 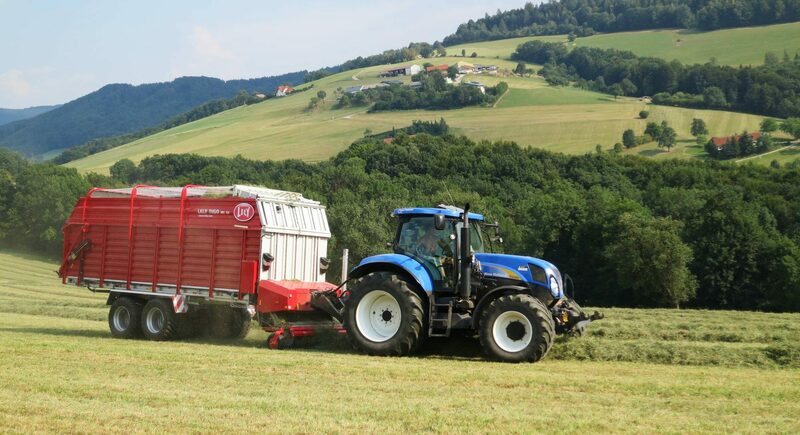 It can handle green fodder, hay and silage, with optimum protection of nutrients and crop structure. The ‘D’ models can be used both in the silo for silage and in conjunction with a side-discharge conveyor for daily feeding of fresh grass. User friendliness is guaranteed with the optional ISOBUS steering unit for tractor cabs. For cabs without ISOBUS, the control unit delivers the same unrivalled user experience. Both steering devices come with an intuitive display, allowing you to control all functionalities from the driver’s seat. The automatic loading and unloading feature enhances user friendliness even further. Achieve the optimal lifespan and quality of your machines and opt for the Original spare parts. All parts are carefully put together at the time of development based on quality, performance, sustainability and ease of use. Harvest a large quantity of crops from the land and cut and transport them in one go with just one person. Retaining nutrients with no unnecessary damage to crops. We offer loader wagons in different configurations and always with the best treatment of crops as the guiding principle.